Journey to the unspoiled South Coast and enjoy the beauty and splendour of the southern parts of Jamaica traveling through quaint towns and picturesque villages. Sample local wayside specialties such as fish and bammies, very delicious. Upon arrival, the Safari queen motor boat is ready to take you on a 10-mile trip up and downstream the water of the Black River. Sip a complimentary drink and enjoy stories handed down from generations. There is so much to see - wild life and an array of exotic birds and tropical flowers. 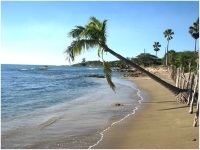 Explore the South Coast of Jamaica on the Black River Safari Tour. 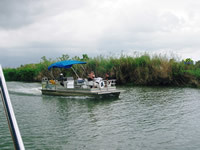 Included in this tour is a boat ride up Jamaica's largest navigable river through Jamaica's largest wetland area, where you will spot some of the 100 species of birds that have been recorded there! 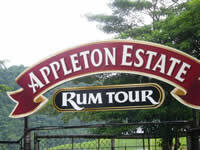 Sample some rums at the Appleton Estate, and enjoy a Jamaican style buffet lunch!